Notable industrial building in the River Arts District. 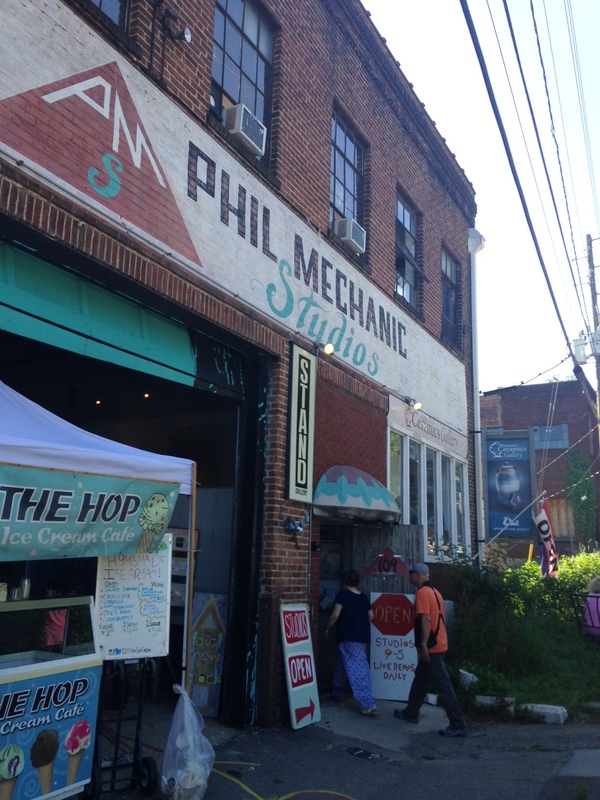 The River Arts District Studio Stroll takes place twice a year, during May and November, and includes an open door into nearly 200 art studios and galleries over a two-day period in Asheville's popular River Arts District. For two days, visitors, art-buyers, and spectators alike can visit over 25 historic industrial buildings that have been transformed into artist headquarters to view live demonstrations of painting, glass blowing, hand-building or throwing pottery and much more. 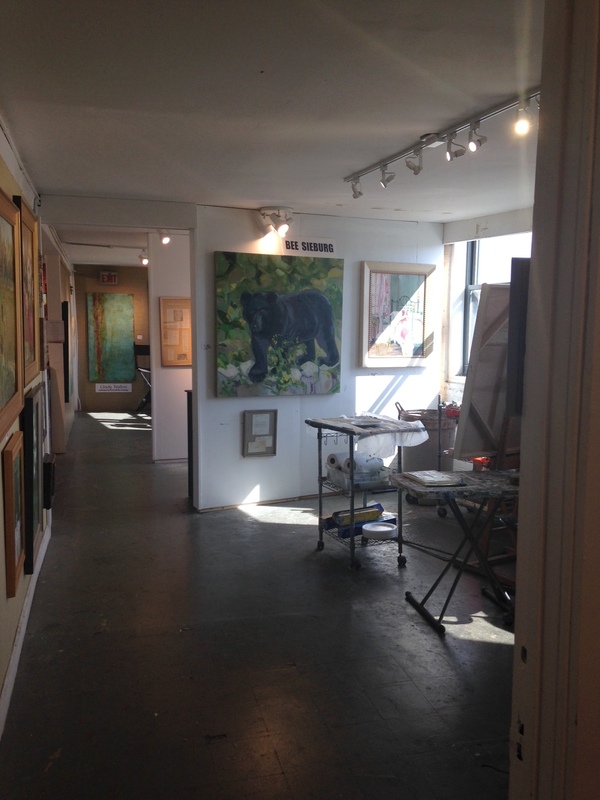 The strolls also give interested visitors the ability to ask artists about their craft or art as well as purchase original artwork or prints. A view into the artist's studio. The River Arts District is located by the railroad tracks and the French Broad River within a couple miles of downtown Asheville. Most of the studios are within walking distance of each other but there is also a free trolley that will run from one section of RAD do the other every 15 minutes. A helpful map for the area is located on RomanticAsheville.com's site. If you're feeling the hunger pangs or want to grab a mid-afternoon beer, there are many great establishments located in the River Arts District, including Fresh Pizza West, White Duck Taco Shop, The Junction, and 12 Bones Smokehouse. 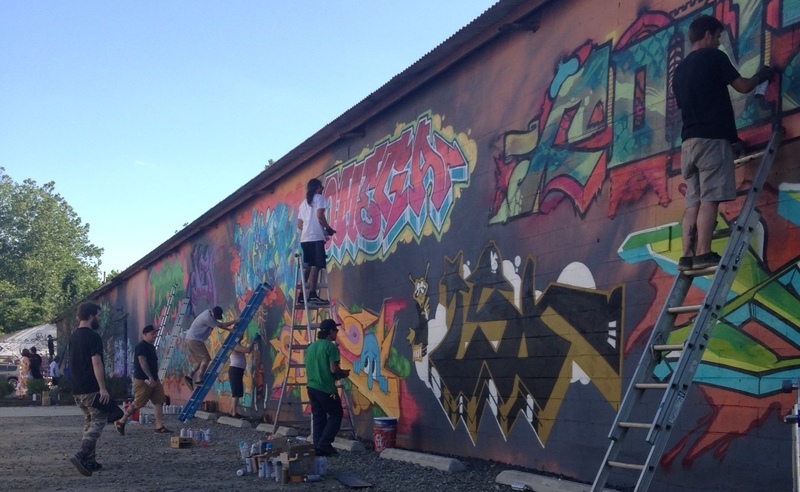 Graffiti murals in The Foundation area. The Wedge Brewery has two popular options to grab an afternoon brew -- both in the River Arts District area. The original Wedge operates out of the bottom of Wedge Studios and the Wedge Foundation location is a quick drive away in a complex called the Foundation that is also home to 12 Bones Smokehouse and some really amazing graffiti murals within the complex.